Trezevant P. “Ted” Yeatman, author of the critically acclaimed biography “Frank and Jesse James: The Story Behind the Legend,” died Nov. 1 of respiratory and cardiac failure at Washington Adventist Hospital in Takoma Park. Born and raised in Nashville, Tenn., Mr. Yeatman was a 1970 graduate of the Peabody Demonstration School and earned a bachelor’s degree from George Peabody College of Vanderbilt University in 1977. He also earned a master’s degree in library science, also from Peabody, in 1977, and a paralegal certificate from George Washington University in 1993. “Ted’s lifelong fascination with the Civil War began in his boyhood and led to his career as a historical researcher and author,” said a cousin, Jean H. Yeatman, of State College, Pa. “He was known to many in the field for his meticulous and thorough scholarship. “Something of a recluse, Mr. Yeatman made a living working for a time as a paralegal and a paid historical researcher while he began to research and unravel the story behind the notorious train robbers Frank and Jesse James, whose history had for more than a century been largely shaped by myth. In 1975, Mr. Yeatman drove to White’s Creek, Tenn., a small village where Bill Ryan, a member of the Jesse James gang, had been captured in 1881. “Just what was Jesse James doing in Tennessee? My curiosity piqued. 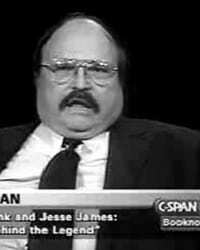 I resolved to spend a year collecting information on Frank and Jesse James and their activities in middle Tennessee, then write an article and move on to something else,” Mr. Yeatman wrote in a foreword to a special edition of True West magazine that he edited in 2002 about the James gang. “My one year of research turned into 10 and the article I intended to write wasn’t published by True West magazine until 1985. 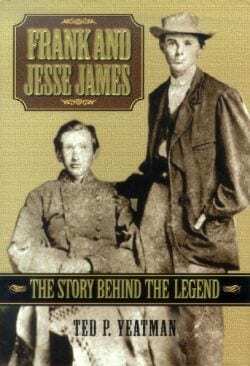 Then 15 more years passed before I finished revisions to my book ‘Frank and Jesse James: The Story Behind the Legend,’ ” he wrote. Mr. Yeatman’s book, which was published in 2000, chronicled the career of what he called “arguably America’s most notorious outlaws,” whose crime spree robbing banks, trains and stagecoaches ranged from Kansas to West Virginia, and from Alabama to as far north as Minnesota. After searching obscure files in the Library of Congress, Mr. Yeatman finally located the necessary documentation and letters that proved that Allan Pinkerton, whose agents were hired by the government to find and arrest the James brothers, had ordered the firebombing of the family’s home that resulted in the killing of Jesse’s 9-year-old half brother and the maiming of his mother, who lost her right arm. “We acknowledge that Ted’s book is the definitive encyclopedic history of Frank and Jesse James. For 130 years, there was nothing but misinformation, and Ted’s work eclipses all of the earlier mythological and sensational accounts of their lives,” said Eric James, who co-founded the James Preservation Trust with Jesse James, the great-grandson of the outlaw, and Judge James R. Ross. “The book is written in a historical narrative form and is fully annotated and lists all sources,” said Eric James, who may be a distant relative of the James brothers. “However, most importantly, it is a factual and true account. Mr. Bell said. “This book is … a resource and will stand the test of time.”Mr. Bell and Eric James recalled a somewhat unusual working arrangement with the author. “He was a bit of an enigma, and when he was our guest editor for the special edition of True West on Jesse James, we communicated by telephone and e-mail,” recalled Mr. Bell. Mr. Yeatman, who was a Civil War re-enactor and had appeared in the movie “Gettysburg,” also wrote articles for the magazines Old West, Civil War Times Illustrated and the National Association for Outlaw and Lawman History.